The 8th annual online pan-India Inter-school Drawing Competition 2019 titled ‘Perception’ has been organised by the Council for Fair Business Practices (CFBP) with Niki Hingad Art Foundation (NHAF) and Rotary Club of Midcity, District 3141. Students from all over the country are invited to take part in the online art-drawing contest. The themes for the competition are: My World (My perception of an ideal world), The Right to a Healthy Life (Cancer- awareness), Save Water and Surrealistic World. The artwork is required to be hand-painted in any choice of medium using colours and base materials. It should be submitted to [email protected] or [email protected] on or before 7th May 2019. “Art is the product of set beliefs, traditions and thinking across the world. Through this initiative, we hope to encourage all young artists to become socially aware of their environment and advance their knowledge about the right to lead a healthy life. We believe that art is a sole journey from an artist’s mind to the heart and has its own language of self-expression. This year’s themes are aimed at seeking subjective interpretations of children’s perspectives through their paintings,” says Ms. Niki Hingad, Founder, NHAF. 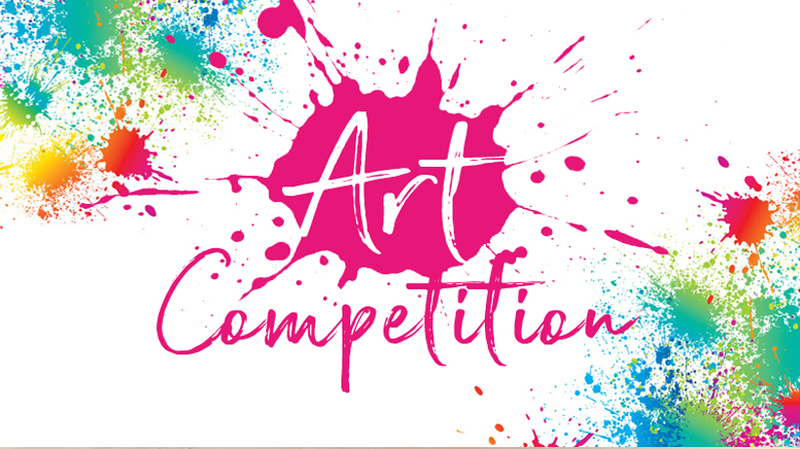 All selected paintings of Phase 2 of the competition will compete for 1st, 2nd, 3rd and consolation positions. The entries will be segregated age-wise in four categories including ‘Veni A’ consisting of children between 5 and 7 years, ‘Veni B’ between 8 and 10 years, ‘Vidi’ for students aged 11 to 13 years and Vici for 14 to 17-year-olds. All paintings are to be duly attested by students’ respective schools and accompanied by student’s name, age, competition category (Veni A, Veni B, Vidi or Vici), topic, address, contact number(s), email ID, school name, school’s email ID and student’s recent age ID proof. All entries will be judged by a panel of judges from the Sir J. J. School of Art fraternity and will be rated on the basis of creativity and originality of the artwork. The winners across all four age groups will be awarded medals and certificates and bestowed the title of ‘Art Maestro’ by the NHAF. The specially-abled students or students participating through NGOs too will be awarded the same honours. CFBP, NHAF, Rotary club of Midcity, District 3141, Mumbai, along with Bhagwan Mahavir Cancer Care Hospital, Jaipur, have joined hands to do their bit in raising awareness amongst all children. CFBP strives to spread its message to create awareness about Fair Business Practices amongst businessmen and associations through talks, workshops and seminars in order to maintain the highest ethical standards in business professions, supporting the objectives to promote fair business practices and create consumer awareness, giving consumer their right to voice their concerns. NHAF’s aim is to ignite an immense interest in the perception of art in the younger generation. These activities are held in various schools and in various nature camps. They include special artist level courses in sketching, charcoal, calligraphy, pen and ink, clay modelling, watercolours, acrylic colours, landscape, portraits, still life, sculptures, etc. All children from 5 – 17 years are benefitted with all these courses. For more details, please call 022-2281272, Monday to Friday between 10 am – 5 pm, or connect through NHAF Facebook account for updates. The PMK youth wing on Wednesday urged the police department to create a separate team to investigate and attend to the complaints about fraudulant companies who cheat job aspirants by making false promises of jobs abroad. In a petition submitted to the City Police Commissioner Sumit Saran, PMK youth wing in-charge, Ashok Srinidhi, claimed that many such companies had cheated youths, who wanted to work abroad, by taking huge money. Stating that the cheated youths had claimed that complaints were not registered at police stations, he said the department should provide. separate telephone number and also social media like WhatsApp so that they can lodge the complaints. He said such companies have been flourishing for the last few years by cheating hundreds of youths of lakhs of rupees. Some of the youths land in companies which pay lowest salary and make them work as virtual slaves there. 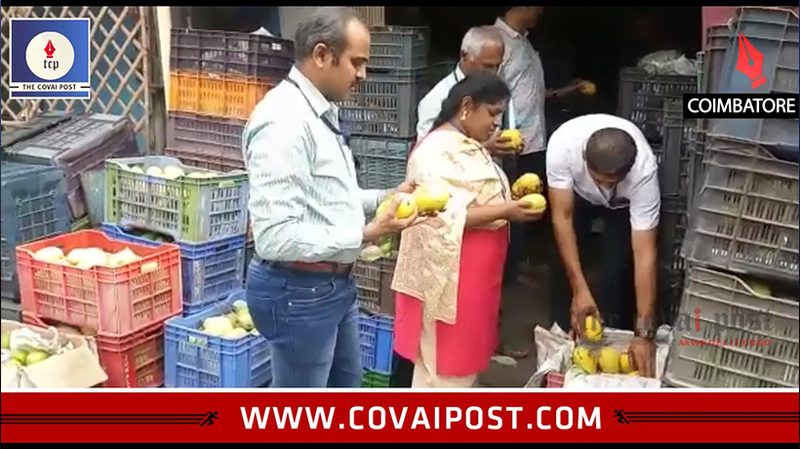 Coimbatore : The PMK youth wing on Wednesday urged the police department to create a separate team to investigate and attend to the complaints about fraudulant companies who cheat job aspirants by making false promises of jobs abroad. 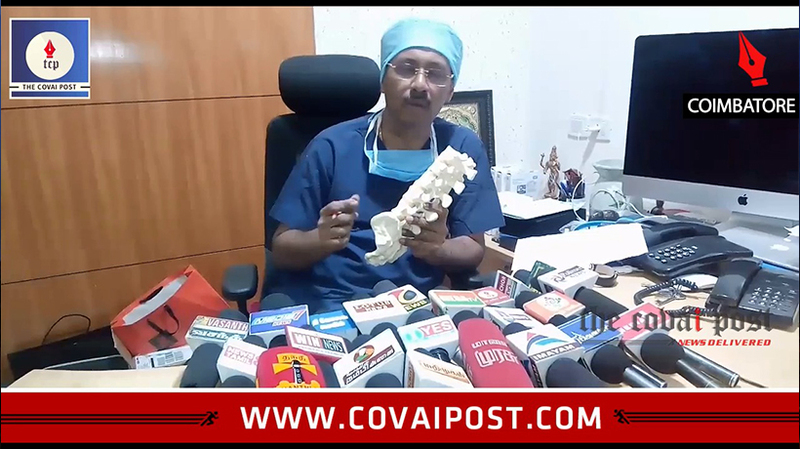 Ganga Hospital wins five major awards in the recently concluded Asia Pacific Spine Society conference. In a bid to enable financial inclusion and ease of buying for the Indian masses, Aegon Life Insurance, pioneer of digital insurance in India and MobiKwik, India’s leading FinTech Company, have joined hands to launch a Rs. 20 smart digital insurance product. The strategic partners have announced the launch of an assorted insurance product called the Aegon Life Group Term Plus Plan with both Death and Accidental Disability Benefit, available exclusively on MobiKwik App. One can purchase this plan by paying as little as Rs. 20 in premium for a sum assured of Rs. 2 lakhs which includes term insurance and accidental disability. MobiKwik has created a lightning fast, fully digital in-app purchase flow on its App for this new smart insurance product. Buyers have the option to choose from 3 Sum Assured variants of Rs. 1 lakh, Rs. 1.5 lakh and Rs. 2 lakhs, which are bundled with an additional Rs. 1 lakh, Rs. 1.5 lakh and Rs. 2 lakhs of Accident Disability, at no additional cost. The policy can be availed at a premium of Rs. 20, Rs. 30 and Rs. 40 respectively and is issued instantly. He further adds, "One of the key benefits of buying Insurance from a digital platform is quick processing. Since the process is entirely digital, the on-boarding of the customer happens in a couple of minutes with immediate issuance of the cover. With this partnership, we expect to expand the reach for term insurance solution and avoid procrastination to become an excuse for not securing yourself and your loved ones." Author adminPosted on April 24, 2019 Categories News FeedTags . 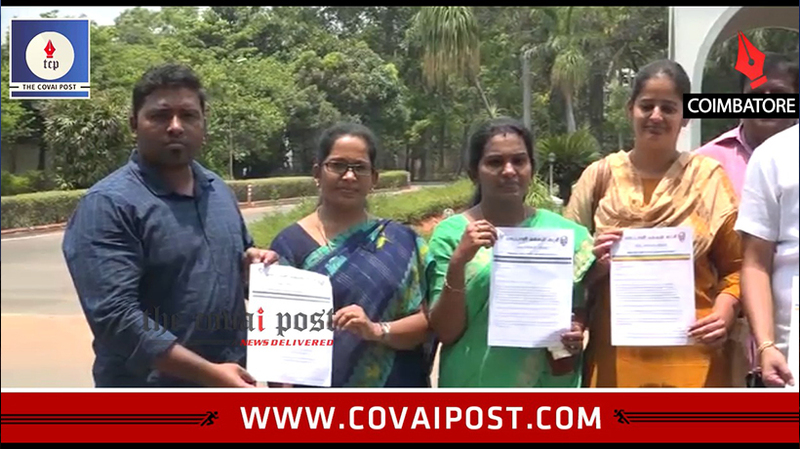 PMK Youth Wing members handed over a petition to the City Police Commissioner Sumith Saran seeking against firms that cheat students by promosing job abroad. SugarCRM Inc.®, the company that helps organizations build better business relationships, today announced several new platform capabilities to help companies to accelerate their business growth. These new capabilities will enable them to resolve customer issues quickly, collaborate more effectively, make faster and more informed decisions about their customers, eliminate time-consuming manual processes, expand real-time mobile access to critical customer information – and do all of this on the new, blazing-fast Sugar 9 platform. “With these significant enhancements, our customers can now collaborate and communicate more effectively, know more about their customers to quickly make better decisions and confidently transact more business with faster quotes, more automation and rock-solid SOC 2 compliance. Most importantly, we have boosted system performance to new heights, enabling customers to process up to 70% more transactions without investing in new hardware,” says Rich Green, chief technology officer and chief products officer at SugarCRM. Collaborate more: New email and comments log features enable customer service representatives to collaborate more effectively, resolve customer issues faster and increase customer satisfaction by providing a more unified and consistent service experience. Know more: With more than 110 new out-of-the-box reports, more than 60 new chart visualizations and advanced reporting capabilities, customers now can harness the data in Sugar to make better and more informed decisions and optimize their sales and support operations. Do more: Workflow automation has been taken to a new level with advanced capabilities in the new SugarBPMTM. Customers now can build new process automations faster and more reliably, automate workflows to ensure time-sensitive deals are processed more quickly and eliminate tedious manual steps to focus their teams on revenue-growth activities. Sell more: To make it faster and easier for customers to sell more, Sugar 9 enables them to create fully customized and personalized quotes, quickly add most frequently quoted line items using the Product Catalog Quickpicks Dashlet and access all of this on mobile devices. Protect more: To help protect customers, the company has bolstered its security organizational processes and evidence gathering capabilities. As a result, SugarCRM has successfully completed a SOC 2 Type 2 audit, providing third-party validation of the company’s commitment to protecting customers and customer information. Go faster: New optimizations improve performance by 7x, making Sugar 9 one of the fastest solutions on the market today. Customers now can process up to 70% more transactions using the same hardware, giving them a competitive edge to close business faster, win more customers and achieve business growth objectives. To learn more about Sugar 9, view this highlights video featuring Zac Sprackett, senior vice president of product management for SugarCRM. ​Wirecard, the global innovation leader in digital financial technology, announced today an expanded partnership with RBL Bank to promote financial inclusion in India. This partnership will make digital payment and banking transactions more readily accessible to all Indian citizens, including those living in remote areas. In partnership with RBL, Wirecard will empower its retail agents, who serve as customer service representatives in various areas across the country, to enable the financially underserved to access basic payment and banking services. These include cash withdrawals and deposits as well as balance enquiries. Currently, there are nearly 5,000 agents enrolled in the program. Consumers will only need their local Aadhaar identification number – a biometric database that provides a unique identity to each Indian citizen and can be linked to a bank account – to access those services through Wirecard’s retail agents. The service is available to all Indian citizens with an Aadhaar number linked to a bank account. Today, around 90% of India’s population has an Aadhaar number, and 80% of adults have bank accounts. Wirecard provides hundreds of thousands of people daily with access to affordable financial services and other related services such as ticketing, mobile top-up, insurance or logistics through its nation-wide retail agent network and offers tens of thousands of retailers the opportunity to earn extra money by driving financial inclusion in India. With the extended partnership with RBL Bank, Wirecard’s retail agents can now offer an even broader range of digital financial services. The Textile Ministry has prepared two reports on how to utilize the potential of technical textiles for the consideration of the new government at the Centre, a top official said Wednesday. The ministry has entrusted the task of preparing the reports to two organizations, including the NITI Ayog. Both the reports are ready for being forwarded to the new government next month, Textile Secretary Raghavendra Singh said here. Addressing the ‘National Conclave on Technical Textiles’ here,Singh said that reports focussed on the special utility of the technical textiles and on how to enhance this for other products. Though there was a great potential for the technical textiles, the industry was yet to tap it. It needed to carry out a baseline survey to get the exact data, he said. Besides, Centres of Excellence on technical textiles across India including two in the city, have more than 600 prototypes of the products, which the industry failed to adopt, he pointed out. Another major need was skilling the people in the sector. The ministry plans to use the NTC Mills, some of which are lying idle, for this purpose, Singh said. DRDO Life Sciences Director General, Ajay Kumar Singh said that there was tremendous potential for technical textile in the defence sector and also’ agriculture sectors, particulalrly for the use of soldiers and aircraft. There was high demand for bullet proof jackets, fire retardants and also net and garments in the agricultural sector to prevent mosquitoes and insecticides, he said. The conclave was organised by Indian Technical Textile Association, Southern India MIlls Association and Indian Texpreneurs Federation, in which nearly 200 delegates participated. 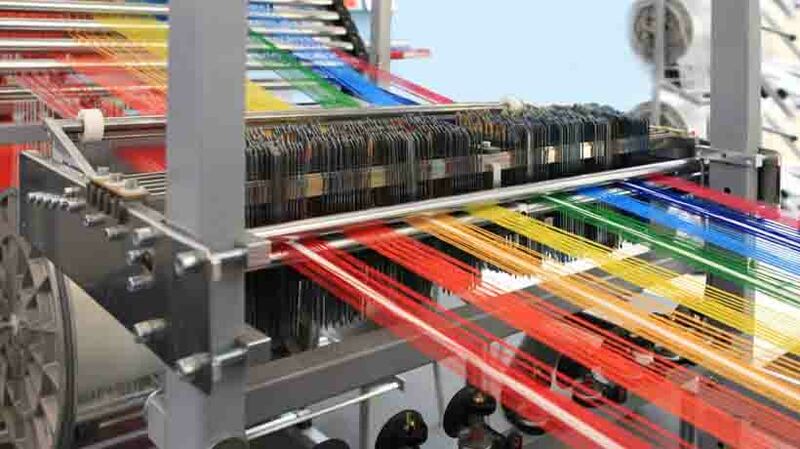 Coimbatore : The Textile Ministry has prepared two reports on how to utilize the potential of technical textiles for the consideration of the new government at the Centre, a top official said Wednesday.